I was hesitant to do a sneak peak about a different approach to examine Volume Shadow Copies (VSCs). I personally don’t like sneak peeks and would rather wait to see the finished product. I think it’s along the lines of starting a movie then stopping it after 15 minutes and being forced to finish watching months later. If I don’t like sneak peeks then why am I putting others through it? I previously mentioned how I wanted to spend my furlough days by putting together some posts about another approach to examining VSCs. Well last week was my furlough week and my family wrote a new version to the carol The Twelve Days of Christmas. Four out of town trips, three sick kids, two family emergencies, and one blogger quarantined to his room. Needless to say I had to spend my time focused on my family. I won’t have time to write the VSCs blog posts until next month so I at least wanted to show one example on how I use this method. There are times when I get a system that has been altered and one change is removing financial software from the system. This is pretty important because if I’m trying to locate financial data then I need to know what software is on the system so I know what kind of files to look for. There is a chance some file types might initially be missed if I’m not aware a certain program was installed at some point in the past. Different registry keys can help determine what programs were installed or executed but you can get a more complete picture about a system by looking at those same registry keys at different points in time. Performing registry analysis in this manner has allowed me to quickly identify uninstalled financial applications which reduced the time needed to find the data. 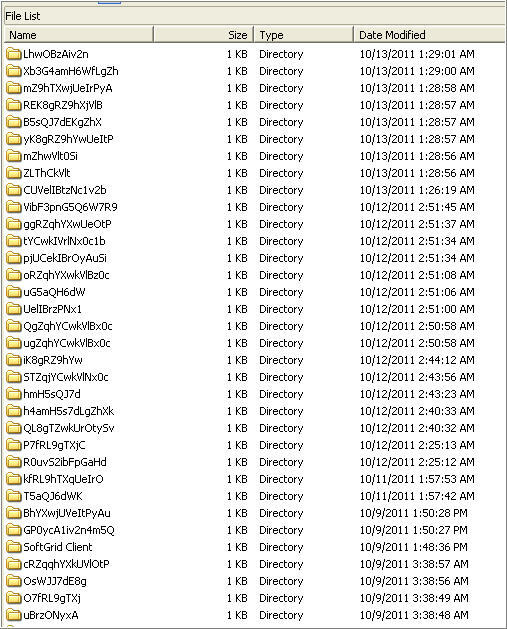 Anyone who has used Harlan’s RipXP understands the value in seeing registry keys at different points in time. I used the same concept with one exception: numerous registry keys can be queried at the same time when dealing with VSCs. I discussed previously one initial examination step is to get a better understanding about the system I’m facing. I use a batch script with Regripper to obtain a wealth of information about how the system was configured when it was last powered on. The configuration information is from only one point in time but if the system has VSCs then that means the same information can be obtained from different points in time. Seeing the same configuration information enables you to see how the system changed slightly over time including what software was installed or uninstalled. To do this I made some modifications to the general operating system batch script which lets me run it against VSCs I have access to. The screen shot below shows the main menu to the vsc-parser (most selections have sub menus). To review the system to identify software of interest I’m interested in selection 2: “Obtain General Operating System Information from Volume Shadow Copies”. The selection will immediately execute my Regripper batch file against every VSC I have access to. 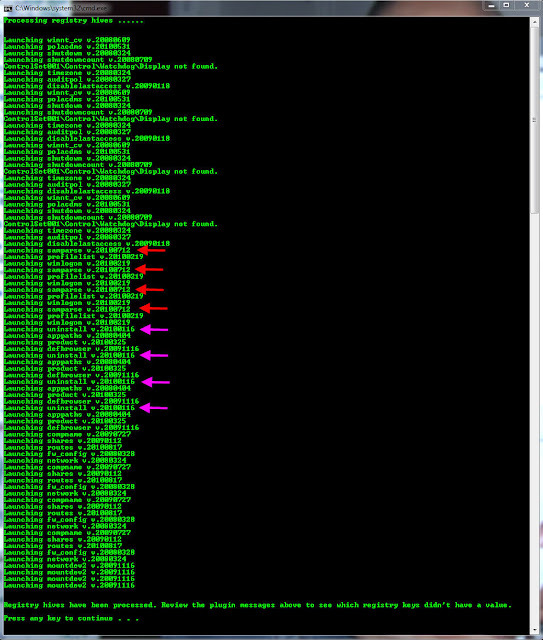 The picture below shows the script running against my four VSCs. 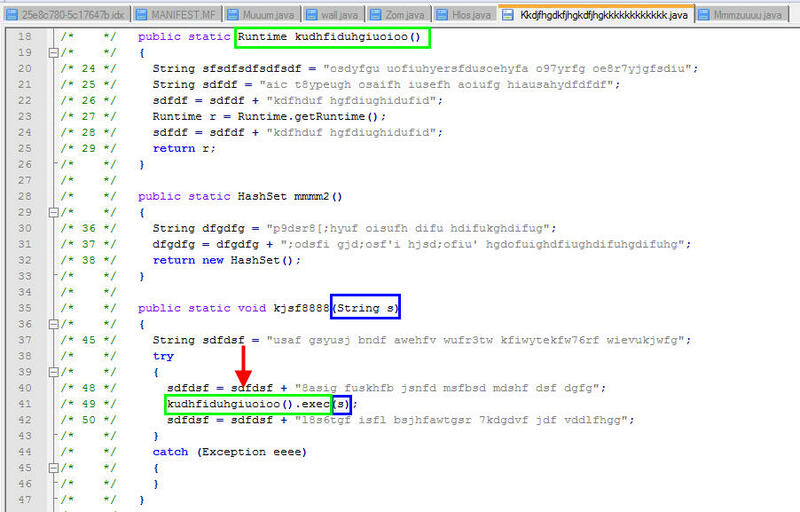 I highlighted the samparse and uninstall plug-ins that executed. The output from the script is nicely organized into different folders based on what the information is. I’m interested in the software on the system which means I need the reports in the software-information folder. A report was created for each VSC I had access to (notice how the file name contains the VSC number it came from). 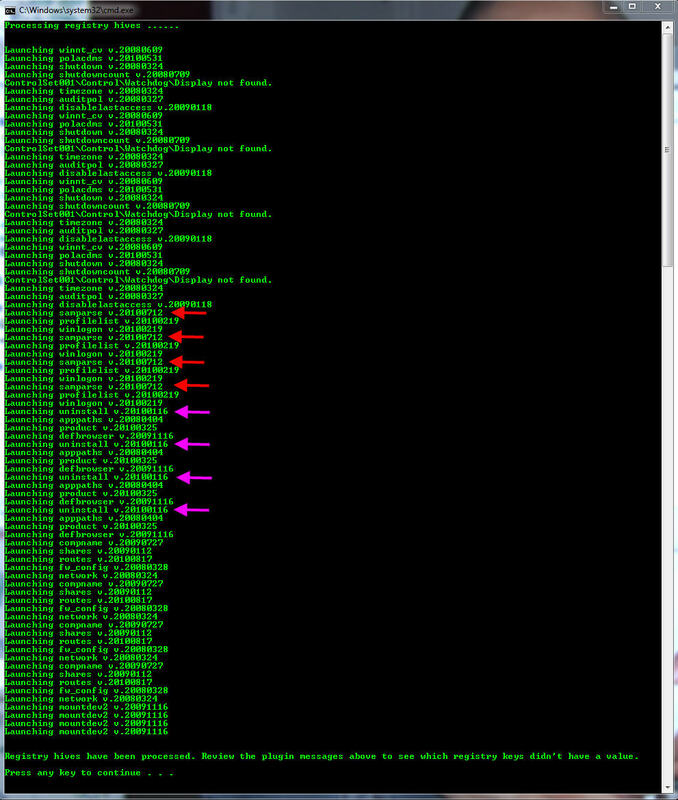 Now at this point I can review the reports and notice the slight differences between each VSCs. I tend to look at the most recent VSC then work my way to the oldest VSC. It makes it easier to see how the system slightly changed over time from the forensic image I examined first. 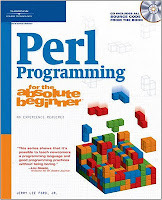 On a case I used this technique and it helped me to identify a financial application that was removed from the system. In the end it saved some a lot of time because this was one of my initial steps and I knew right off the bat I was looking for specific file types. Some may be wondering why I decided to highlight the samparse plug-in as well. At another time the same technique helped me verify a user account existed on the system and narrow down the timeframe when it was removed from the system. I showed an example running Regripper against registry hives stored in VSCs on a live Windows 7 system. However, the approach is not only limited to registry hives or Regripper since you can pretty much parse any data stored in a VSC. Certain events in life cause you to reflect on humility and put back into perspective the meaningful things in life. You remember that in time almost everything is replaceable. Another forensicator will fill your shoes at work and your organization will continue to go on. Another researcher will continue your research and the little that you did accomplish will eventually just be a footnote. Another person will step up to provide assistance to others in forensic forums and listservs. Your possessions and equipment will become someone else’s to enjoy and use. When looking at the big picture, the work we do and value will eventually fade away and life will go on as if we were never there. One of the only things remaining will be the impact we make on others in the little time we have available to us. One doesn’t need a lot of time or resources to make an impact; all that’s needed is having a certain perspective. Having an outlook that looks beyond one’s own self interests can positively impact others and I think the statement holds true regardless of religious beliefs. A perspective that takes into consideration others’ interests is displayed everyday in the Digital Forensic and Incident Response (DFIR) community. DFIR forums have thousands of members but there are only a few who regularly take the time to research and provide answers to others’ questions. DFIR listservs are very similar that despite their membership the minority are the ones who regularly try to help others. Look at the quality information (books, articles, blogs, white papers, etc) available throughout the community and their authorship is only a small fraction of the people in the community. These are just a few examples out of many how individuals within the DFIR community use their time and resources in an effort to not only better themselves but to educate others as well. When I look at the overall DFIR community I think there’s only a minority who are looking beyond their own interests in an effort to help others. A few people have helped me over my career which contributed to where I am today. They never asked for anything in return and were genuinely interested in trying to help others (myself included). If the DFIR community is what it is because of a few people giving up their time and resources to make a positive impact on others, then I can only wonder what our community would look like if the majority of people looked beyond their own interests to look after the interests of others. In the meantime all I can do is to continue to try to remember to look beyond myself in every aspect of my life. To try to consider those around me so I can help whoever crosses my path needing assistance. When the day is over one of the only things remaining will be the impact I have on others. A few weeks ago my family and I were eating dinner at our dining room table. A car alarm started going off outside so I went to the window to see what was going on. I first checked to make sure our cars weren't the ones making the noise and then I saw it was my neighbor’s car across the street. I went back to the dining table when my three year old said "the car is saying there is a fire drill". Laughing aside his statement made a lot of sense. Before that moment the only time he has heard loud sirens have been during fire drills. Naturally, his first thought when he heard something similar was a fire drill was happening. Fire drills are one simulation people have practiced (most of the time forced) over and over again to help them know how to proceed when the real thing occurs. Simulations in DFIR work the same way in helping educate ourselves how to proceed in certain types of scenarios. Most trainings I attended reinforced learning by having the attendees practice on test images or data. The attendees just don't stumble around in the data since their objective is dictated by working through a simulation based on some case scenario. The simulation training approach even carries over to when people want to improve their skills on their own. Similar to the fire drill, different DFIR scenarios can expose people to different types of cases so they are more aware about their options and what to do when a real case comes up. The choices one has available for scenarios are to either use a test case put together by someone else or create your own. I found the latter option to be extremely effective at better preparing me since I can focus on areas I want to improve on. Simulations are how I developed my skills to investigative malware infected systems. Forensicator Readiness is the thought process I use to develop and implement different scenarios. The process focuses my efforts on the exact skills or knowledge I want to learn more about. One simulation I’ve been working on for some time is answering these two questions about infected systems: is the system infected and how did the system get infected. All the different scenarios I developed overtime and some research I conducted was a direct result of trying to answer those two questions. My scenarios started out by manually infecting systems with different malware to develop my skills in finding malware both in memory and on disk. Once I was effective at quickly locating the malware - without scanning - then the next step was to purposely attack systems. Some attacks I conducted such as running Metasploit against systems with malware as the payload while other attacks involved finding malicious SPAM emails or active drive-by attacks. In all the scenarios I simulated infections with different initial infection vectors on systems to provide myself with test cases. I improved my skills by examining the infected systems so I could answer were the systems infected and how did it occurred. My neighbor’s car alarm put my three year old in fire drill mode. He didn’t get up and start walking towards the door because it was my neighbor’s car. The drill was for my neighbor and not us; otherwise our cars would have told us. :) Putting ourselves through our own simulations in advance increases our ability to be in the right mode when we need it. I was better prepared when I took on my first infected system. Not only did I locate the malware (without av scanning) but I was successful in tracing the infection back to a drive-by against an Adobe Reader vulnerability. It wasn’t luck I was able to do this right out of the gates. Nor was it luck I have continued to do this on system after system. This ability is a direct result of honing my skills in advanced by putting together my own simulations focused on areas I want to improve on. People and children are not able to just able magically figure out how to exit a building in chaos. It takes practice and when chaos occurs the training kicks him to help people know how to proceed. DFIR is the same way; we won’t magically know how to process certain cases or answer certain questions. It takes practice and overtime we develop the knowledge on how to proceed with certain cases. Practicing can take the form of trainings or self simulations. Trainings are a one size fits all where the content is the same across the board. An advantage that self simulations have over trainings is one’s ability to focus on whatever area one wants. Time can be better spent focusing on the areas one doesn’t have knowledge about while trainings can be used to supplement other areas (this approach is a better way to use training dollars as well). The next time one wants to develop their DFIR skills then self simulations shouldn’t be overlooked as a viable option. I updated the Digital Forensic Search’s index today. Eight new blogs were added and I updated the URL for an existing blog. In no particular order the new editions are: Sketchymoose's Blog, Forensics For the Newbs, WriteBlocked, Hexacorn Blog, Zena Forensics, Taksati, Chris Sanders, and SANs Penetration Testing Blog. As usual, the Introducing the DFS blog post has been updated to reflect the changes. I’m going to continue documenting the sites in the index on the Intro to DFS post. However, I’m probably going to stop posting updates on the blog since I’m leaning towards mentioning the changes through my twitter account. Earlier in the week I finally finished setting up my Twitter account and actually started to use it. As my profile indicates Twitter is my platform to share random thoughts which will mostly be focused on information security. I said mostly because the account won’t solely be used to discuss security. Please feel free to hit me up at corey_harrell. In a few weeks I’m going to have some time off from work since I’m taking some “furlough” days. My plan is to spend the time putting together some material (blog posts and videos) to further demonstrate a different approach to analyzing the data stored volume shadow copies. Before discussing my approach I’m pointing out two current approaches. One is to image each VSCs then examining the data in the images. Another approach is to copy the data - including metadata - from all or select VSCs so it can be examined outside the VSCs. The approach I’ve been using is to examine the data while it’s still stored in the volume shadow copies. There are numerous benefits doing it this way such as reducing the amount of time needed or being able to work on both live systems and forensic images. I think the technique’s true power is the ability to see the same data at different points in time since shows how the data changed over time. This has been critical for me on a few different cases. To help me examine VSCs in this manner I wrote a few different scripts. The material I’m putting together will not only explain my logic behind the scripts’ functionality but will show how it can be easily extended by anyone to meet their own needs. Yes, I'll also release the scripts as well. Plus, if I can pull off a video or two it should be cool for people to see it in action. At some point over the next few months you may see me start referencing and sharing some work I completed for something called TR3Secure. I’ll be the sole author of any work I share (mostly scripts) but I wanted to briefly discuss what TR3Secure is since I’ll be tagging my work with it. A few co-workers and a colleague of mine are working on setting up a training group for us to collaborate and develop our information security skills together. We are trying to create an environment to bring together security testers, incident responders, and digital forensic practitioners. We envision doing different activities including conducting live simulations and this is where bringing together the three different skillsets will shine. The live simulations will be conducted with select people attacking a test network while a second group responds, triages the situation, and if necessary contains the attack. Afterwards, the examiners will collect and examine any evidence to document the attack artifacts. When it’s all said and done then everyone will share their experiences and knowledge about the atack and if necessary train other members on any actions they completed during the simulation. We are still in the early stages setting the group up and once established it initially has to be a closed group. I’m only mentioning TR3Secure here because I’m going to write various scripts (Perl and Batch) to help with certain aspects of the live simulations. If my scripts work well especially for training then I’ll share it for others to use for self training purposes. The scripts will solely be my own work but I’m still tagging everything with TR3Secure since I’m working with some great individuals. The first item coming down the pipeline is a cool dual purpose volatile data collection script that doubles as a training and incident response tool. In this edition of linkz the theme goes from exploitation to infection to detection. Some linkz discussed include: providing clarity about my exploit artifacts, a spear-phishing write-up, a malware analysis checklist, and thoughts about automated vs in-depth malware analysis. Over the past year I’ve been conducting research to document attack vector artifacts. Vulnerabilities and the exploits that target them are one component to an attack vector. Some may have noticed I initially focused most of my efforts on vulnerabilities present in Adobe Reader and Java. I didn’t pick those applications by flipping a coin or doing “eeny, meeny, miny, moe”. It is not a coincidence I’m seeing exploit artifacts left on systems that target those applications. This has occurred because I pick vulnerabilities based on the exploits contained in exploit packs. Exploit packs are toolkits that automate the exploitation of client-side vulnerabilities such as browsers, Adobe Reader, and Java. Mila Parkour over at Contagio maintains an excellent spreadsheet outlining the exploits available in different exploit packs on the market. The reference by itself is really informative. The screenshot below shows part of the vulnerabilities section in the spreadsheet. 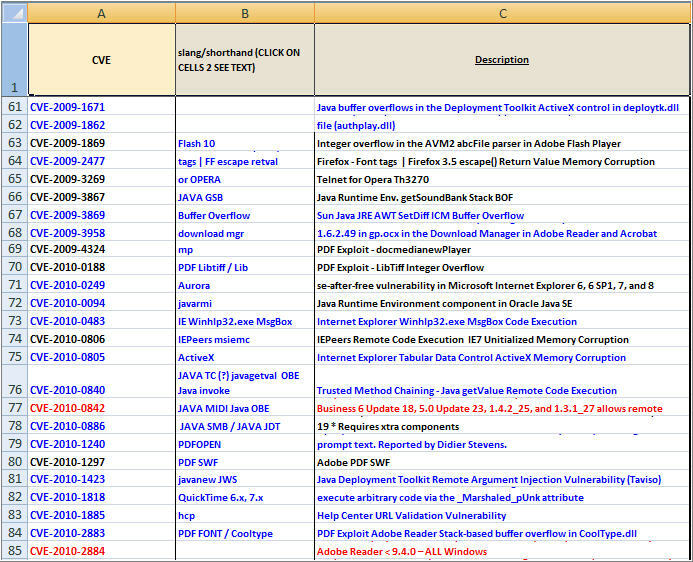 Notice how many Java and Adobe vulnerabilities are on the list. Maybe now it’s a little more clearer why I wrote about Adobe/Java exploits and why I wasn’t surprised when system after system I keep finding artifacts associated with those exploits. 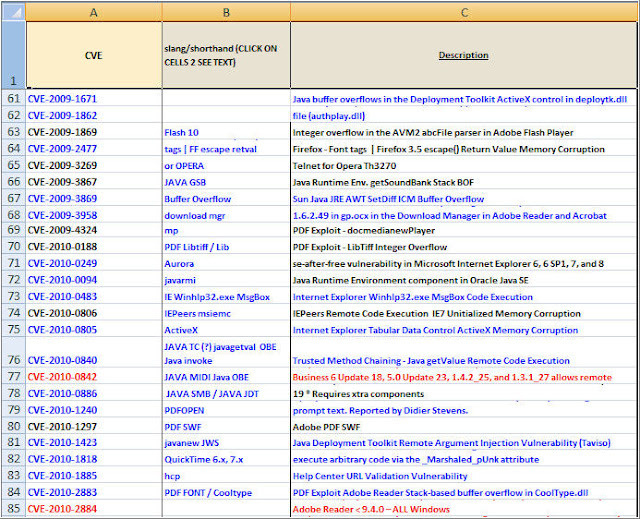 The spreadsheet shows what applications exploit packs are targeting. I’ve been using the document as a reference to help me decide what exploit artifacts to document. Down the road when I start looking into Word, Excel, and flash exploits then at least there will be a little more clarity as to what I’m choosing to document. Since I mentioned both Adobe, flash, and exploit in the same paragraph then I might as well mention them in the same sentence. Zscaler ThreatLab blog recently posted Adobe Flash “SWF” Exploit still in the Wild. 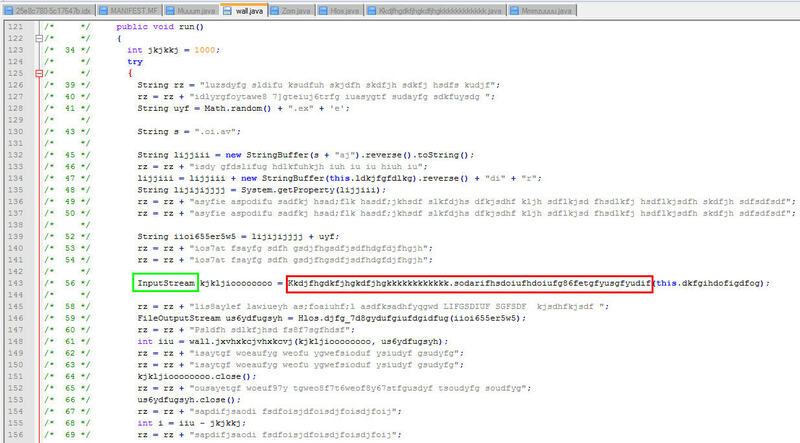 The short write-up discusses how a vulnerability in Adobe flash (CVE-2011-0611) is being exploited by embedding a .swf file into Microsoft Office documents or html pages. I wanted to highlight one specific sentence "this exploit code embeds a “nb.swf” flash file into a webpage, which is then executed by the Adobe Flash player". That one sentence identified numerous potential artifacts one could find on a system indicating this attack vector was used. First there will be Internet browser activity followed by a flash file being accessed. The system may then show a swf file being created in a temporary folder and there may also be indications that Adobe flash executed shortly thereafter. The write-up doesn't go into what artifacts are left on a system since its focus is on how the attack worked. At this point those potential artifacts are just that potential. However, flash exploits are third on my list for what I'm going to start documenting. It shouldn’t come as a surprise by now that Mila’s spreadsheet also shows a few exploit packs targeting the flash vulnerability. The Kahu Security blog post APEC Spearfish does an excellent job walking the reader through an actual spearphishing attack. The spearphish was an email targeted at a single individual and contained a malicious PDF attachment. 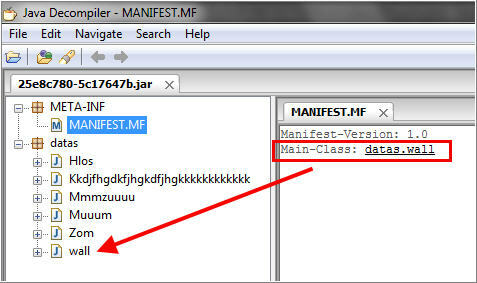 There was a flash object in the PDF file that exploited a vulnerability in Adobe Flash Player (yup … CVE-2011-0611). The end result was a malware infection providing backdoor access for the attackers. The post isn't written from the DF perspective; it doesn't outline the artifacts on a system indicating a spearphish occurred or a flash exploit caused the malware infection. However, it does a great job breaking down the attack from the person receiving the email to the PDF file launching to malware getting dropped. One image I liked was the one showing "what’s happening behind the scenes" since it helps DF readers see the potential artifacts associated with the method use to infect the system. Last month Harlan posted about his experience at PFIC 2011. At the end of his post he shared his Malware Detection Checklist which outlines the examination steps to locate malware on the system. I think it’s a great list and I like how the checklist is focused on a specific task; finding malware. I added some of the activities in Harlan’s checklist to my own because I either wasn’t doing it or I wasn’t deliberate about doing it. One step I wasn’t doing was scanning for packed files and thinking about it I can see how it can help reduce the amount of binaries to initially examine. On the other end, one step I wasn’t deliberate about was examining the user’s temporary directories. 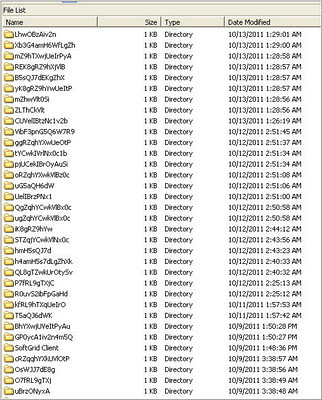 I was examining these directories through timeline analysis but I wasn’t deliberate about searching the entire folder for malware or exploit artifacts. The cool thing about Harlan’s checklist is that he already did the heavy lifting. He put together a process that works for him (including the tools he uses) and is sharing it with the community. It wouldn’t be hard for anyone to take what he already did and incorporate it into their own examination process. 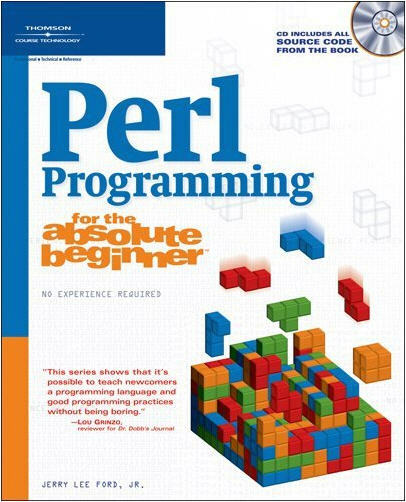 Plus, his blog post mentioned the checklist came from Chapter 6 in WFA 3 so the book (once released) can be a reference to better understand how to go about finding malware on a system. Along the same lines about trying to identify malware on a system Mark Morgan over at My Stupid Forensic Blog discussed the topic in his post How to Identify Malware Behavior. Mark first proceeded to explain the four main characteristics of malware which are: an initial infection vector, malware artifacts, propagation mechanism, and persistence mechanism. (Harlan also described these characteristics on his malware webpage). The characteristics are important since there artifacts associated with them and those artifacts can help identify the malware. Mark provided a great example about how the persistence mechanism played a role in one of his cases. He even went on to explain a few different ways to track down malware and its persistence mechanism. 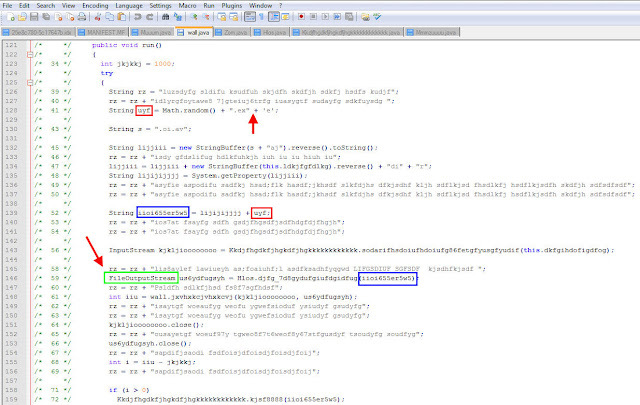 At some point during the examination malware will be identified on the system. Some can just start analyzing the malware since they are fortunate enough to know how to reverse engineer its functionality or know someone who can. The rest of us may not have that luxury so we should just upload the sample to online scanners such as VirusTotal or Sandboxes right? Well, I wouldn’t be too fast in pulling the trigger without understanding the risks involved. The Hexacorn blog put together the excellent post Automation vs. In-depth Malware Analysis. In the author’s own words the "post is my attempt to summarize my thoughts on the topic of both automated malware analysis in general and consensual submission of files to a web site owned by a third party". There are times when submitting samples to a third party service are not the best choice to make. I first learned about the risk when a discussion occurred in the Win4n6 group sometime ago but the post goes into more depth. For anyone dealing with malware and considering using third party services -such as VirusTotal or ThreatExert - than I highly recommend reading this post to help you make an informed decision. On a side note, the Hexacorn blog started to post forensic riddles every Friday followed by posting the answer every Monday. The riddles are entertaining and educational. My stat count so far is zero for two (I wasn’t even close). Last week I had the opportunity to attend Paraben’s Forensic Innovations Conference (PFIC). I had a great time at PFIC; from the bootcamp to the sessions to the networking opportunities. Harlan posted his experience about PFIC, Girl Unallocated shared her thoughts, and SANs Digital Forensic Case Leads discussed the conference as well. The angle I’m going to take in my post is more of a play by play about the value PFIC offers and how the experience will immediately impact my work. Here are a few of my thoughts …. When I’m looking at conferences and trainings the cost is one of the top two things I consider. This is especially true if I’m going to ask my employer to pick up the tab. Similar to other organizations it is extremely hard to get travel approved through my organization. As a public sector employee at times it seems like I’d have better odds getting someone’s first born then to get a request approved through the finance office. The low cost to attend PFIC made it easier for me to get people to sign off on it. The conference with one day training was only $400. The location was the Canyons Resort and attendees got cheaper rates for lodging since it’s the off-season. Rounding out the price tag were the plane flight and shuttle from the airport; both expenses were fairly reasonable. Don’t be fooled by the low costs thinking PFIC is the equivalent of a fast food restaurant while the other conferences are fine dining. PFIC is not only an economical choice but the content covered in the bootcamp and sessions results in more bang for the buck. I like to think PFIC is the equivalent of fine dining with coupons. The cost was so reasonable that I was even going to swing the conference by myself if my employer denied my request to attend. That’s how much value I saw in the price tag especially when I compared it to other DFIR conferences. The one commonality I’ve see in other’s feedback about PFIC is how the smaller conference size provides opportunities to network with speakers and other practitioners. This was my first DFIR conference so I can’t comment about conference sizes. However, I agree about the ability to talk with people from the field. Everyone was approachable during the conference without having to wait for crowds to disperse. Plus if for some reason you were unable to connect between sessions then PFIC had evening activities such as casino night and night out in town. I meet some great people at the conference and was finally able to meet a few people I only talked to online. Going into the conference I underestimated the value in connecting with others since I was so focused on the content. Let’s be honest. A conference can be affordable and offer great networking opportunities but if the content is not up to par then the conference will be a waste of time and money. I have a very simple way to judge content; it should benefit my work in some way. This means none of the following would fit the bill: academics discussing interesting theories which has no relevance to my cases, vendors pimping some product as the only way to solve an issue, or presenters discussing a topic at such a high level there is no useful information I can apply to my work. One thing I noticed about the PFIC presenters was they are practitioners in the field discussing techniques and tools they used to address an issue. Pretty much each session I walked away from I felt like I learned a few useful things and got a few ideas to research further. Harlan said in his PFIC 2011 post that “there were enough presentations along a similar vein that you could refer back to someone else's presentation in order to add relevance to what you were talking about”. I think the same thing can be said from the attendee’s perspective. I sat through several presentations on incident response and mobile devices and it seemed as if the presentations built on one another. I pretty much picked my sessions on a topic I wanted to know more about (incident response) and another topic I wanted to get exposed to (mobile devices). There were a few presentations I picked based on the presenter but for the most part my focus was on incident response and mobile devices. PFIC had a lot more to offer including e-discovery, legal issues, and digital forensics topics but I decided to focus on two specific topics. In the end I’m glad I did since each presentation discussed a different area about the topic which gave me a better understanding. I’m not discussing every session I attended but I wanted to reflect on a few. I started PFIC by attending the Incident Response bootcamp taught by Ralph Gorgal. The overview about the process used in the session is shown below and the activities highlighted in red is what the bootcamp focused on (everything to the right of the arrows are my notes about the activity). The approach taken was for us to simulate walking in to a network and trying to understand the network and what logs were available to us. To accomplish that we reviewed servers’ configurations including the impact different configuration settings have and identified where the servers where storing their logs. The Windows services explored during the bootcamp were: active directory, terminal services, internet information server (IIS), exchange, SQL, and ISA. The focus was more on following a logical flow through the network (I thought it was similar to the End to End Digital Investigation) and thinking about what kind of evidence is available and where it was located. The bootcamp provided a thorough explanation about the thought process behind conducting log analysis during incident response. Even though the course didn’t touch on how to perform the log analysis other sessions offered at PFIC filled in the void. The first session was We’re infected, now what? How can logs provide insight? presented by David Nardoni and Tomas Castrejon. The session started out by first explaining what logs are, breaking down the different types of logs (network, system, security, and application), and explaining what the different log types can tell you. The rest of the session focused on using the free tools Splunk and Mandiant’s Highlighter to examine firewall and Windows event logs. I thought the presentation was put together well and the hands on portion examining actual logs reinforced the information presented to us. The other session I attended about log analysis was Log File Analysis in Incident Response presented by Joe McManus. The presentation was how web server and proxy logs can generate leads about an incident by using the open source tool Log Analysis Tool Kit (LATK). LATK helps to automate the process of log analysis by quickly showing log indicators such as top downloaders/uploaders, SQL queries, and vulnerable web page access. The session was a lab and in the hands on portion we examined web server and proxy logs. This was another session that was well put together and I think the coolest thing about both sessions, besides the great information shared, was that free tools were used to perform log analysis. Mobile devices are a topic I want to become more knowledgeable about. I went into PFIC wanting to learn a basic understanding about the forensic value contained in mobile devices and get some hands on experience examining them. The first of the three Paraben labs I attended was Smartphone and Tablet Forensic Processing by Amber Schroader. This wasn’t my scheduled lab so I watched from the back as others did the hands on portion. Amber laid out a case study for the attendees who had to locate a missing 15 year old girl by using Device Seizure to examine an ipad and itouch. What I liked about the session was that answers weren’t provided to the audience which forced them to have to figure out what information on those devices could help locate the girl. A few of the areas examined included: Safari browsing history, Safari download history, Youtube history, facetime history, wifi locations, and pictures. After the case study Amber laid out the different areas on mobile devices containing relevant information but mentioned the biggest issue with mobiles is the sheer number of apps which changes how you look at your data. The next Paraben lab I sat through was Physical Acquisitions of Mobiles by Diane Barrett. The session explained the different methods to acquire a physical image which were chip off, JTAG test access port, flasher boxes, and logical software that can do physical. The cool part about the session was the hands on portion since we used a Tornado flasher box and Device Seizure to acquire a physical image from a Motorola phone. The last Paraben lab I attended was Introduction to Device Seizure by Amber Schroader and Eric Montellese. As the title indicates the session was an introduction on how device seizure can be used to examine mobile devices. The entire session was pretty much hands on; we performed logical and physical acquisitions of a Motorola phone and a logical acquisition of an Android. We also briefly examined both devices to see what information was available. The only non-Paraben session about mobile devices I attended was iOS Forensics by Ben Lemere. The presentation discussed how to perform forensics on iOS devices using free tools. The information provided was interesting and added to my to-do list but I thought the session would have been better if it was a lab. It would have been awesome to try out the stuff the presenter was talking about. Harlan mentioned the scanner is still in development but he still did a tool demo by parsing a system’s Windows folder. A few things I noted about what I saw: there’s better documentation than Regripper (analysts name and platform included), still rips registry keys, lists files in a directory (prefetch folder contents were showed), runs external programs (evt.pl was executed), hashes files, and performs different file checks. I saw the value in this kind of tool before I sat through the session but seeing it in action reinforces how valuable this capability would be. I currently try to mimic some activities with batch scripting (see my triage post or obtaining information post). Those scripts took some time to put together and would require some work to make them do something else. I can foresee the forensic scanner handling this in a few seconds since plugins would just need to be selected; plus the scanner can do stuff that's impossible with batch scripting. Speaking of scripts … Harlan mentioned during his presentation a batch script I put together that runs Regripper across every volume shadow copy (VSC) on a system. I was caught a little off guard since I'd never imagined Harlan mentioning my work during his presentation. I probably didn’t do a good job explaining the script during the session since I wasn’t expecting to talk about it. Here is some information about the script. As Harlan mentioned, I added functionality to the script besides running Regripper (I still have a standalone script for Regripper in case anyone doesn’t want the other functions). The script can identify the differences between VSCs, hash files in VSCs, extract data (preserves timestamps and NTFS permissions) from VSCs, and list files in the VSC. The script demonstrates that you can pretty much do as you please with VSCs whether if you are examining a forensic image or live system. In a few weeks I’ll provide a little more information about the script and why I wrote it, and over the next few months I’ll write a series of posts explaining the logic behind the script before I release it. Overall PFIC was a great experience. I learned a lot of information, I have a to-do list outlining the various things to research/test further, and I meet some great people. The return on investment for my company sending me to the conference is that in a few weeks I’ll be able to perform log analysis, I’m more knowledgeable about mobile device forensics, and if I get into a jam I now have a few people I can reach out to for help. 1. Make the names on the name tags bigger. I think my biggest struggle during the conference was trying to figure out peoples’ names since I couldn’t read the tags. 2. Presenters should answer all questions during the session if time permits; especially if the question is a follow-up to something the presenter said. Another attendee asked a great question but I had to stick around for about five minutes after the session to hear the answer. It wasn’t like the question was controversial or something. 3. Verify that all equipment works before the session. One of the labs hit a speed bump when numerous attendees (me included) couldn’t acquire a phone since numerous phones didn’t work. Everyone was able to do the acquisition eventually but time was lost trying to find phones that actually worked.